Info:These caps were given away with Dalmatians Bubblegum. 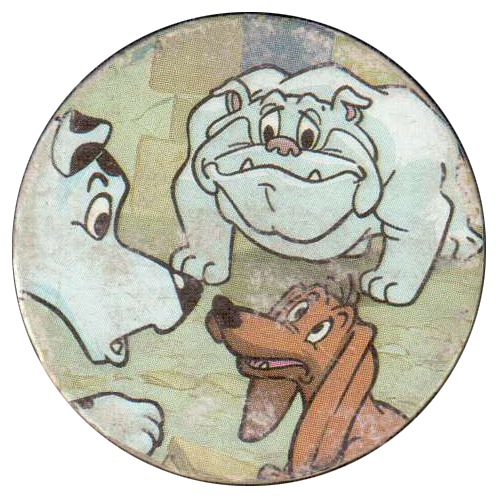 They feature images relating to the 101 Dalmations story, though not the Disney version. Thanks to Pavel Chugaynov for the scans. 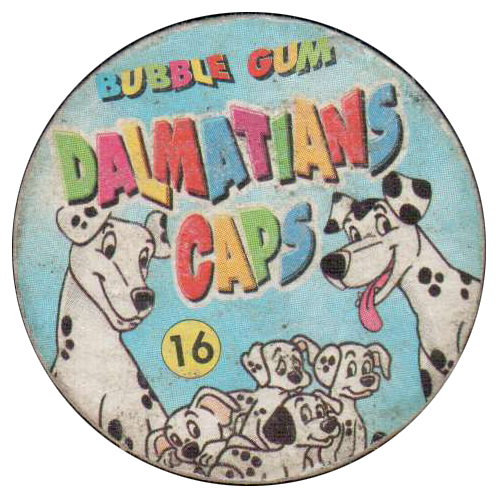 You can find more images of the set here: wrappers.ru - Dalmations Caps.